Hindus have been worshipping sun by offering water in the morning for thousands of years. 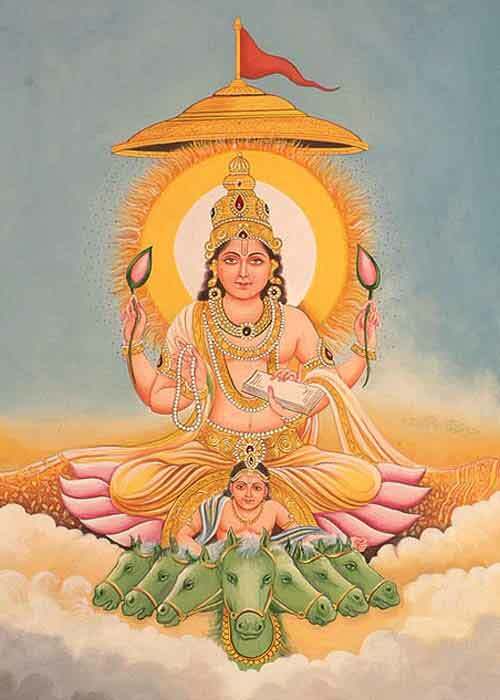 Surya (Sun) is the Pratyaksha Brahman or the visible god in Hinduism. Below is a brief description on how to offer water to sun in the morning. The Surya mantra for jal arpan is also given below. The mantra should be chanted 7 times while offering water to Surya. How to Offer Water to Sun in the Morning? Take bath early in the morning. Wear orange, saffron or red color dress and first offer prayers to Ganesha in mind. Take small copper vessel put water in it. Add some kumkum and red color flowers. Find a place from where the rising sun is visible. First offer prayers to the rising sun. Pour the water seven times down facing the sun by lifting your hands on level with your face. Chant the above given mantra. On Sunday along with offering water you can is in meditation and chant the Aditya Hridaya Stotra. There will be purification of mind and intellect. It is good for building self-confidence. It helps in overcoming health issues especially related to skin. A person attains both physical and mental strength. It is good for profession and ideal for those looking for new job. It also helps in slowly removing the difficulties in life.